British Industrial Fictions is a collection of essays on the fiction which represented the contexts, aspirations and dramas experienced by the people who worked in industry in Britain over a period of two hundred years. This fictional material was usually produced in conscious resistance to the dominant culture of the day, sometimes by middle-class sympathisers, but often by workers themselves who found time, somehow, to write about their stark experiences. 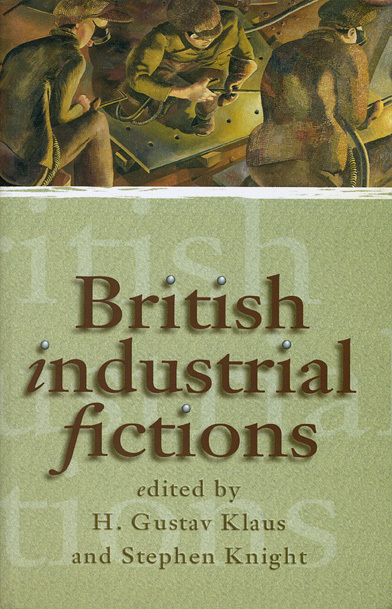 Some of the essays in this collection discuss little-known aspects of industrial fiction, such as the early fiction about seamstresses, industrial writing by Welsh women authors, the largely unknown representations of ship-builders, nineteenth century nail-workers, late twentieth-century Scottish unemployed. Other essays reconsider well-known major authors and periods such as Robert Tressell, James Hanley, Alan Sillitoe, Lewis Jones, the literature of the 1926 strike; and some essays look at structural features of industrial writing such as the relation between fiction and industrial accidents in the nineteenth century, and the literary patterns of 1930s writing.